Trying to help a friend get his early 20s TT running. The original issue was that a coil was constantly buzzing and 3 did not buzz. Fixed this by swapping out the knurled nut that was grounding to the block. Swapped out the coils, then none of them worked! Ordered a rebuild kit for the coil box. Saw the issue today when rebuilding it, the solder joint came loose and was corroded. Rebuilt the coil box. Now all of the coils buzz, but the order was wrong. (Removed the nuts from timer and two wires were covered in grease, couldn't tell what was what). Swapped out two wires and now here is where we are stuck. The firing order is now 1243 somewhat, but 4 and 3 buzz at the same time. 4 buzzes for a normal period of time I think, but 3 starts buzzing early. Or maybe vice versa, 4 starts late. Either way, 4 fires by itself and shortly after 3 starts to buzz with it. I'm stumped here. This is an all original wiring TT, I wouldn't doubt there being a short or something somewhere. Seems like the timer roller (it's a rebuilt roller timer, reground) is hitting 3 and 4 at the same time almost? Anyone have any ideas? I can swap out my timing cover when we meet next but I don't think that's going to do anything, his is a rebuilt roller timer, mines got heavy wear (replacing it Tuesday). Ideas? Rebuilt coil box. I do not see any obvious shorts or anything. One of your wires between the timer and coil box is shorted to ground. Sometimes the rod that moves the timer for spark advance will touch one of the terminals on it. Erik, would that cause both to fire at once but not constantly though? I can check it again when over next. Edit. Never mind, I see what you're saying now. Sounds like that could be an issue. With the timer 'between contacts' (no coils buzzing), and the ignition on Battery, take a piece of wire, hold one end to anyplace you can pick up a ground, and touch the other end to each of the timer's terminals, one at a time. You should, obviously, make one coil buzz each time. You're working with 6 volts here, which shouldn't hurt you. If it all works as it should, the problem of two coils buzzing at once seems to be internal in the timer. If you still get double buzz, take all four of the wires off of the top terminals of the coil box, and do the same test. CAUTION: You'll be working close to voltage that loves to bite! If you get double buzz that way, the problem is internal in the coil box. If you've eliminated the timer's internals and the coil box's internals, your problem is in the wire harness, unless you find that moving the spark control lever makes something touch something it shouldn't. P. S. I should have said that when you take the wires off the top terminals of the coil box, you do the same test at the terminal box, not the timer. Does this change with the position of the spark lever? If so, you have something grounding one of the wires near the timer. Often it is one of the bolts in the front of the crankcase with the threaded end up. That bolt should be turned with the threads down. Another possible ground would be the spring plate which holds the timer in place or the rod itself. Sounds as though your problem is either in the wiring or in the timer itself. This is common on a dirty roller timer. One contact has enough trash to complete ground and will buzz continuously. Remove the timer and clean it out with a rag and carb spray. Norman, I stupidly have not tried to move it but will when I'm there in a couple days. I'll report back. Gary, rebuilt timer and never run on a car, all clean. Pristine. No oil at all. It is important to find and correct the problem of one coil buzzing continually as a result of a grounded timer wire. The problem with this type electrical fault is the offending coil quickly exceeds its duty cycle, the excess energy dissipating in heat causing the tar potting to boil out of the coil. Correction requires a details visual inspection to find the cause of the short to ground. The fault can be internal to the timer, timer pull rod shorting to a timer contact, frayed or shorted timer wiring or the bolt under the timer not being installed correctly. Crossed / shorted wire or carbon track in the box. I agree with your first point about shorted wires causing constantly firing (not controlled by the timer) coils, but not about carbon tracks causing this problem. Coilbox carbon tracks are a result of the coilbox wood getting wet. The first (wrong) inclination of the owner is to start the car and there is where the trouble starts. The coils fire and the high tension voltage and it seeks lower resistance paths to ground other than the spark plug. Wet laminated coil box wood will provide this path leaving behind burnt carbonized wood that is conductive forever long after the moisture is gone. Carbon tracks in the laminated wood are not easy to find or diagnose because the indications are a trap for logical people. 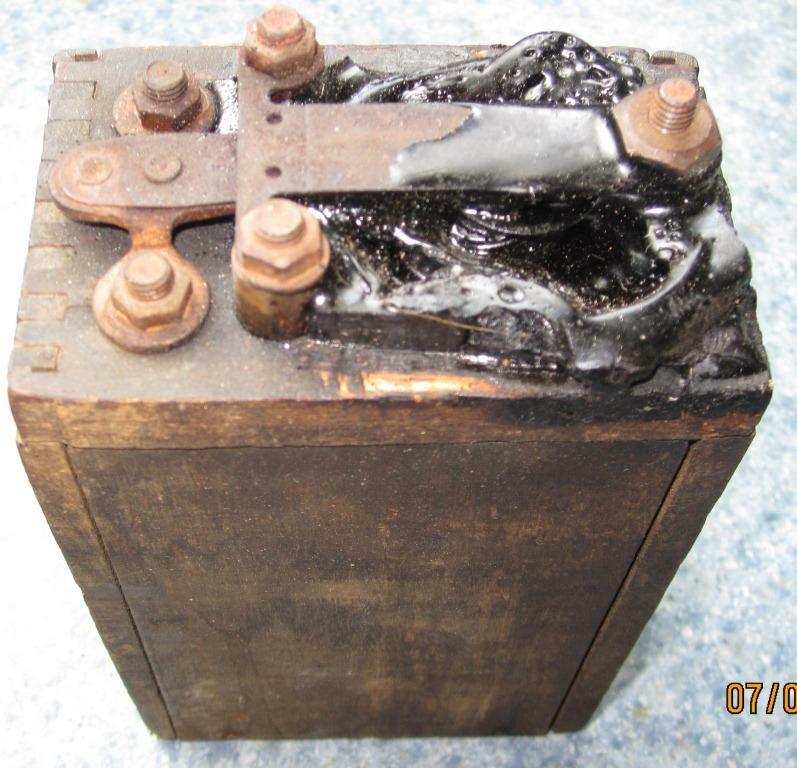 Along with poor engine performance, the usual indications of a carbon tracked coil box wood is weak spark at the plugs and getting a mild shock when touching metal parts of the car. The best long term solution is to get rid of wood and install a FunProjects wood replacement kit. Here's a problem some have mentioned. A terminal screw is grounded against the timer control rod. 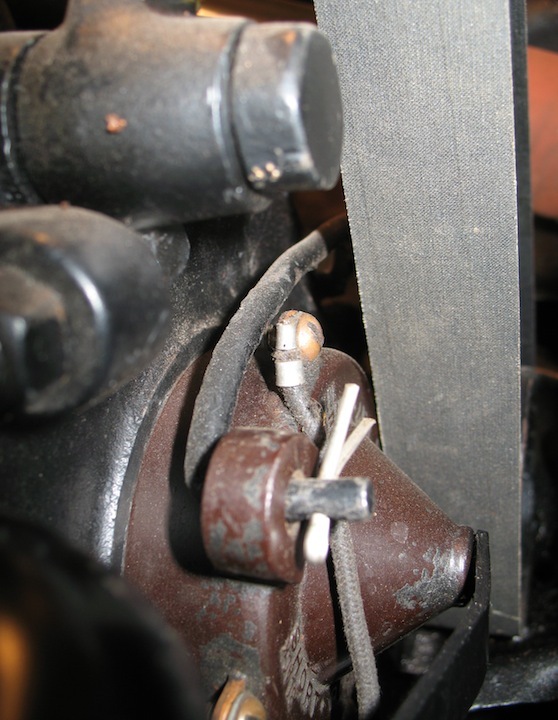 This is a great thread, I have been experiencing some ignition problems and have done everything I can think of to the carburetor to correct them with out effect. On a couple of occasions, I have noticed that one coil would buzz while starting the car and I would move the timer lever and it would correct it. Now I know what I am looking for. I have been wasting my time working on the carb because I thought this was an ignition problem, but now that I know it is a carbonation problem I will work on the timer and wires.